Jack Byno, the Arlington traffic ticket lawyer, is who you need to call when the Great Texas Warrant Roundup is in progress. I am Jack Byno and I have been representing clients in Arlington, Texas since 1994. The lawyers of my firm can help you with speeding tickets, CDL violations, and other traffic citations. If you have an Arlington traffic ticket that has gone to warrant, the attorneys of Jack Byno & Associates can post bond and lift the warrant. Contact me to clear your name from the Arlington Warrant Roundup ledgers. More about Arlington, Texas traffic tickets. The Arlington Police Department is one of the biggest writers of speeding tickets in the entire Dallas - Fort Worth area, but given its size and the number of highways within in the city limits, that should not come as a surprise. When you receive an Arlington speeding ticket, the best thing to do is hire an attorney. In most cases, the lawyers of Jack Byno & Associates can get you a deferred disposition (probation). Assuming you qualify and successfully complete the probation, the ticket will not appear on your driving record. Which of course, can save you money in state surcharges and inflated insurance premiums. If you have a speeding ticket that has gone to warrant, I can still help you, but you will need to contact me before the Arlington Warrant Roundup catches you. 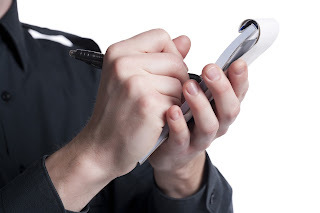 If you have an Arlington traffic warrant you need a lawyer with experience in these matters. The law firm of Jack Byno & Associates only represents clients with driving related cases such, as speeding. Sometimes these cases have gone into warrant. I have been posting bonds on traffic cases since 1994 in the Arlington Municipal Court. If an attorney from my law firm posts a bond on your case, we will also appear in court and plead your charge to best deal we can make. After appearing in court we will notify you of the outcome and what your obligations are to the court. Contact me so you do not need to fear the Arlington Warrant Roundup. Jack Byno has represented clients in the Arlington Municipal Court and every where else in Tarrant County since 1994. Our law firm is devoted to the defense of CDL violations, lifting traffic warrants, speeding tickets, and fighting driver's license suspensions . Contact me if you need an attorney to defend your speeding tickets or lift your traffic warrants.